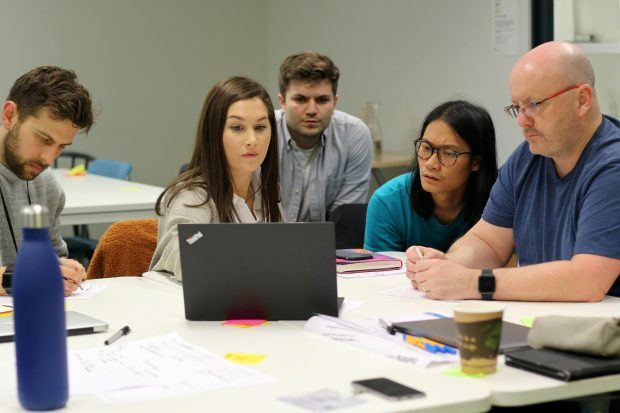 The User-Centred Design (UCD) Community runs cross-government design critique (or ‘crit’) days so that designers can show their work in progress and get constructive feedback. We do this because designers working within government are not working in isolation. It is important to share work early, and to test your assumptions and validate your hypotheses often, and make your designs as strong as they can be. 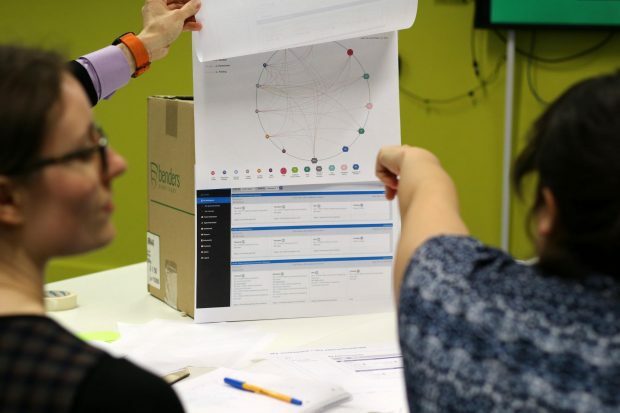 Design crits are also great for fostering collaboration – we have blogged about that previously. When people attend, they almost universally find it useful, but sometimes we have struggled to get people to sign up. We think this may be because people are not sure what happens on the day and what they’ll get out of it. So, here are some testimonials from previous attendees telling you how the day runs and how it helped them. We know that a 'critique day' can sound scary. If the environment is not right, it can lead to some designers feeling disheartened instead of motivated to improve their work. We work hard to make sure our events are not like that. On the day, there is an introduction to running a design crit. Then, we work in groups of 5. Each person in the group has 40 minutes to share their work and receive feedback from their group. If you’re not sure, don’t be afraid to be honest and forthcoming with your designs and ideas – it’s a very supportive environment and you’ll get more out of the day if you bring more. One of the great things about the day is that you’ll get unbiased feedback on your work from people outside of your team and organisation, in a friendly, safe and supportive environment. This can give you a fresh perspective on your designs. Showing your service to people who are completely removed from it was a really valuable experience. It helped me to see things from new perspectives and to consider questions I hadn't asked myself (or had previously asked, and then swallowed back down). Hearing from your colleagues about their own experiences of how they tackled design obstacles can provide energy and direction in your own work. It was great to see how others had approached design problems that I also face; I found I was not alone. I found it valuable to bounce ideas off other people who aren’t part of my team, and didn’t have our biases. The session will help you run your own design crits, as we provide worksheets and tips you can take back to your team. I’ve learned to critique design and it’s an easy skill to teach others, and it has a direct impact on the quality of their work. I’ve found that the skills I learned can help when I’m working in challenging situations or with tricky people. It does not matter what stage of the project you’re at – you can bring anything to the sessions. This can be anything from a sketch of an idea to a working prototype. It can be interaction, service, graphic or content design. To join us on our next design crit day on 12 April 2019, you can sign up on Eventbrite. We have made one of the cross-government design objectives to take part in a design crit. We are also looking to scale up the training that we do to run more training sessions in different locations. If you’re interested in setting up your own cross-government design crit outside of London, please contact the User-Centred Design team. If you are a part of the design community, there are many more events and training to help you improve and learn. You can keep updated on the latest events and training on the Design Notes blog. And, if you’ve taken part in a design crit and have any feedback, please share in the comments below.